A Basic Dental Assistant: This job title covers the girth of most dental assistant positions. 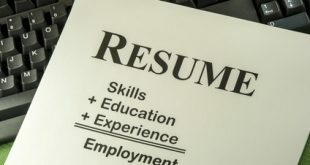 These types of positions will typically require a student in a vocational school or a number of courses at junior colleges. Upon completion of the dental assistant program, many are able to work as a dental assistant, with some individuals going on to obtain more education to work in different specializations. Expanded Duty Dental Assistant: A EDDA typically has a more robust educational background when compared to a basic dental assistant. The more comprehensive education of an EDDA allows them to directly shadow dentists with different dental procedures that are appropriate for the EDDA’s skill level. Many EDDA can be seen shadowing dentists during root canals, removing of sutures, creating molds for the teeth, as well as help with certain administrative tasks. Any tasks that are dealing with a patient will be carefully supervised by the dentist. Both of these types of dental assistants will typically work in a myriad of settings. Basic dental assistants and EDDAs can work with a single family dentist or with a group of dentists. Many of these dental assistants will also work in various fields, like endodontics or orthodontics offices. Schools, nursing homes, dentist offices, or public health facilities are where most of these certified individuals will be working. 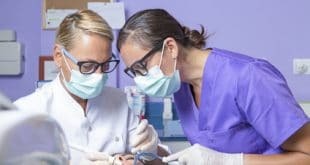 Even though dental assistants have a field that is relatively secure, they will not be able to advance further in their career if they do not take up advanced schooling. The main tasks of a dental assistant are to ready patients for a dental visit, organize patient documents, interpret x-rays, and shadow the main dentist with their day to day tasks. One of the more common tasks of a dental assistant includes cleaning up and preparing the dental chairs and stools and ensure the cleanliness of waiting areas. They will make sure that all tools are working and operating correctly, and that applications like rinses, fluoride, and plastic gloves are easily accessible to the dentist. The masterminds for “behind the scenes” tasks, a dental assistant will reset the dentist chair and the surrounding area for the next incoming patient. The dental assistant also tend to be the first face that incoming patients will interact with. Depending on the organization or practice, a dental assistant will typically transport the patient from the waiting area to the dentist chair. Once settled, they will try to diffuse any anxiety that the patient may have, as well as offer oral rinses and answer any questions and inquiries. When interacting with the customer, a dental assistant will utilize technical skills like filling up a mold, taking teeth impressions, and reading x-rays. The information gathered will then be given to the dentist to plan the next course of action. Many dental assistants are also trained in taking and developing x-rays, which is usually the first task done during a dental exam. Dental assistant salaries are largely affected by location, organization, and experience. The United States Bureau of Labor Statistics denotes dental assistants as healthcare support, with separate salaries from professional dentists. In 2012, the median yearly salary of a dental assistant was $34,500. As mentioned, dental assistant jobs are relatively secure, with the job outlook constantly improving. From 2012 to 2022, the employment growth for dental assistants will grow 25 percent, which is substantially more robust when compared to other industries. To learn more about how you can obtain one of the country’s more robust and rewarding jobs, contact us. Previous How To Become a Data Scientist?